Call for Price for WooCommerce Pro plugin allows you to set custom labels on the front end when the price field of WooCommerce product is empty. By default it sets Call for Price labels which you can customise as per the business needs. There is a provision to display Call for Price label for all the store’s products by checking a single option. There is also an option where you can show/hide sale tag for products with empty prices and it supports variable products too. 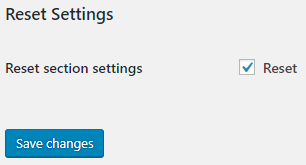 All such options and many more settings are available under General Settings page. 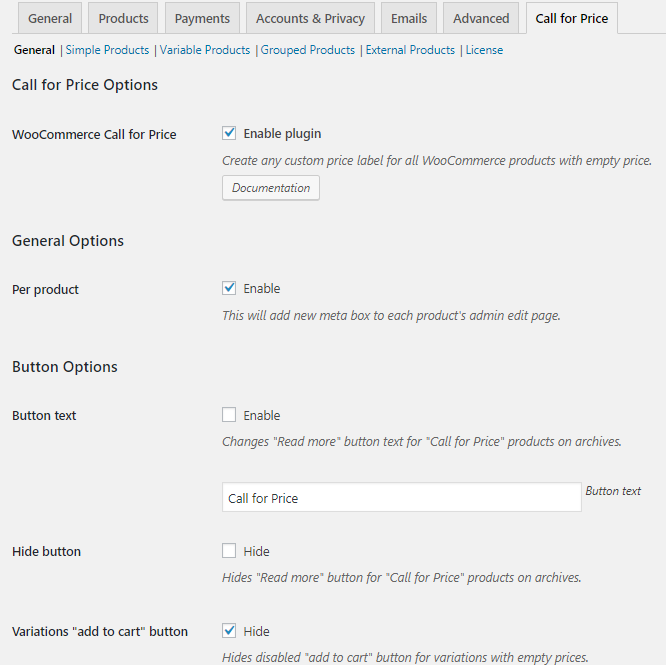 Once you have installed and activated the Call for Price for WooCommerce Pro plugin, a new Call for Price tab is added under WooCommerce -> Settings. To go to the default General Settings page, follow the path WooCommerce -> Settings -> Call for Price -> General page. Tick the Enable plugin checkbox that will enable you to create custom price label for your WooCommerce products with empty price. You need to first enable this WooCommerce Call for Price option to start using the functionalities of this plugin. The Per product setting under General Options section allows you to add any custom price label for WooCommerce products with empty price. When you enable this option by ticking the Per product checkbox, a new Call for Price meta box gets added to the product’s Edit page on the Admin side. By default, the Per product option is disabled. To learn about this setting in detail, check our Product Wise Call for Price Option post. When you enable Button text option, the Read more button text will change to Call for Price button text. 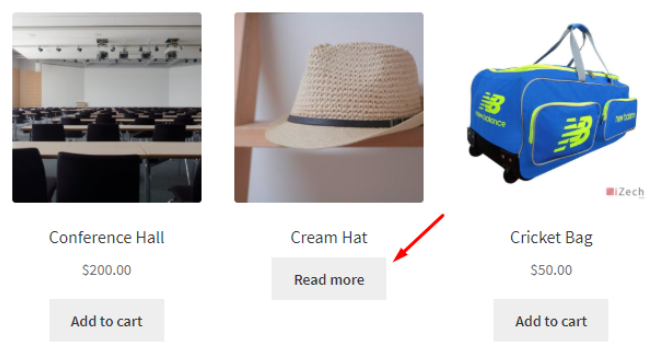 The text that you enter in the Button text field will appear on the Shop page in place of Read more button for products with no price. For instance, when the price for product Cream Hat is not set in the back end, the Read more button appears by default on the Shop page. Now when you enable Button Text option and add Call for Price text in the Button text field, this Read more button on the Shop page will change to Call for Price button. This way you can add any text in the Button text field to display that button on the Shop page. The default value for Button text is set to Call for Price. As the name suggests, this option will allow you to hide the Read more button of the products on the Shop page whose prices are empty. If the button text is set to Call for Price, then it will hide the Call for Price button for the products on the front end. Now consider the same instance of Cream Hat whose price is empty. Say you enable the Hide button option. This will hide the Read more button for this product on the Shop page. By default, the Hide button option is disabled. This option hides the disabled Add to cart button for variable products with empty prices. This means when a variable product has no price set for it, the Add to cart button on variant’s product page will be disabled. So with Variations ”add to cart” button option, you can hide this disabled Add to Cart button. 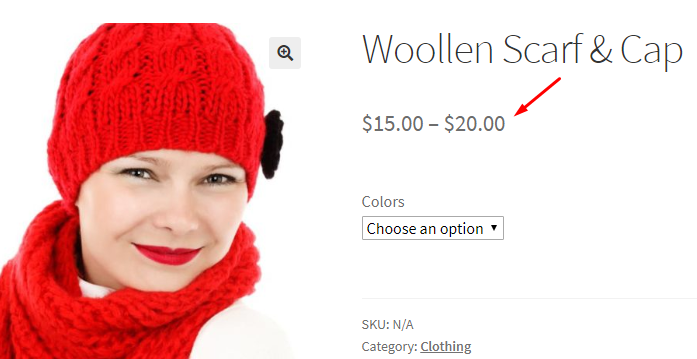 For instance, say we have a variable product Woollen Scarf & Cap and the prices for the ‘Red’ variation is set to empty. In this case, the Add to cart button for this variants will appear disabled. Now when you enable the Hide checkbox for Variations “add to cart” button setting, this disabled Add to cart button will not appear on the variant’s product page. By default, hiding the Variations “add to cart” button option is enabled. This option will allow you to display Call for Price label for products not with empty prices too. Ideally, the products with no price can be set to have a Call for Price label using this plugin. But this functionality of the plugin will let you force display of Call for Price label for either all products, out of stock product, particular product categories and tags or price range. When you enable All products option, you can make all the WooCommerce products on your store change its label to Call for Price. This means all the product with either prices set or empty will have Call for Price button displayed on the Shop page. This shows products with Add to cart button changes to Call for Price on the Shop page when this option is enabled. By default, the All products option is disabled. This implies that all products which are out of stock can be set to have a Call for Price label using ”Out of stock” products option. This will be applicable on all products which cannot be purchased due to Out of stock or On backorder stock statuses. Say for instance, product Chocolate Cake has stock status as Out of stock. 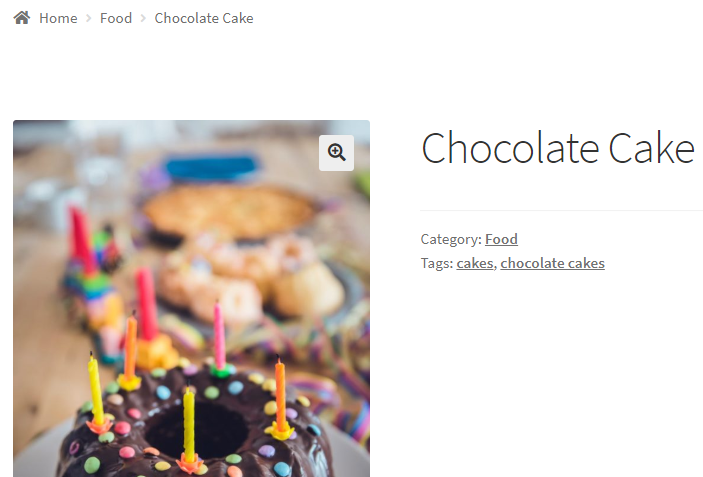 Hence, on the Chocolate Cake product page, the Call for Price label will appear. Similarly, it will work the same way for products with stock status – On backorder. The default value for “Out of stock” products option is disabled. This option will allow you to display Call for Price label on all products from the specified product categories and/or product tags. When you enable this option, you can either add the product category or product tags or add both product category and tags, to which this Per product taxonomy setting will apply. You can select the category and tags from the Product categories drop down and Product tags drop down respectively. You can also add multiple product categories and tags or have a combination of product categories and tags for which you want to force display the Call for Price label. Let us understand these scenarios using examples. As you can see, the products on Shop page with product category Food will display a Call for Price button instead of Add to cart button. 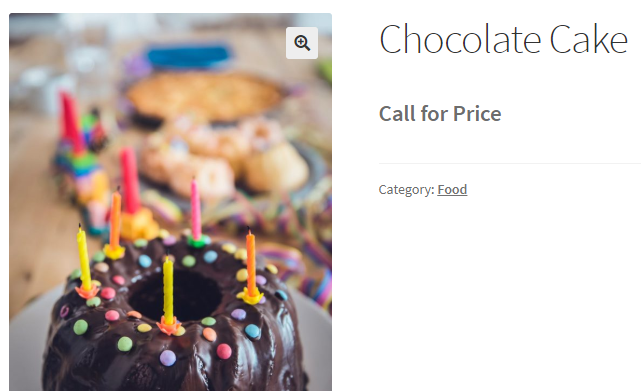 Now when you click on Call for Price button of Chocolate Cake product, the single products page will not display its price which is set in the backend. This way you can force the display for products of particular category with Call for Price buttons, even when the price of those products are not empty. When you add multiple Product tags as Hotels & Jackets, all products with these tags will appear with a Call for Price button on the Shop page. When you click on Call for Price button of Hoodie Jacket product, the single product page of this product will display no price. 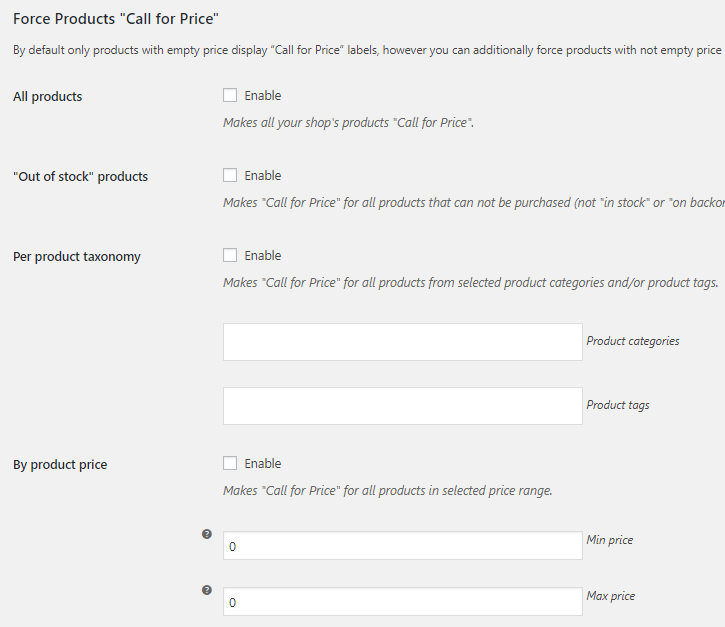 This way you can even add multiple tags for displaying those products with Call for Price option. You can also add multiple categories in the same way to display Call for Price option for them. 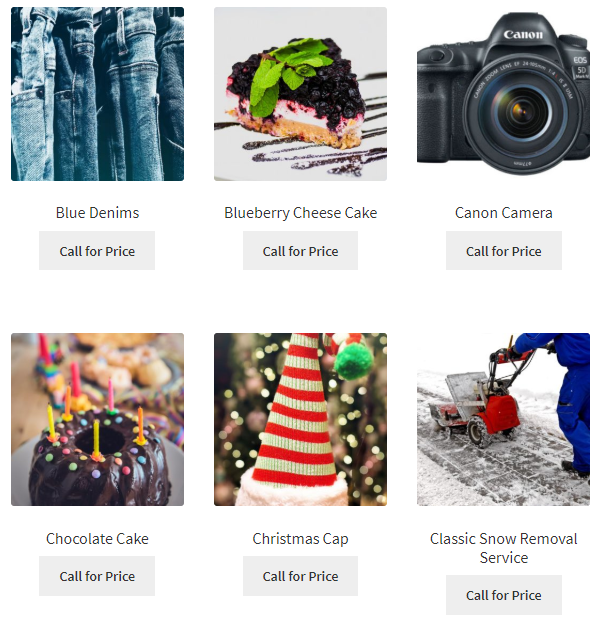 You can add a particular category as well as specific product tags to display Call for Price label for products that fall in that category as well as has the specified tag. 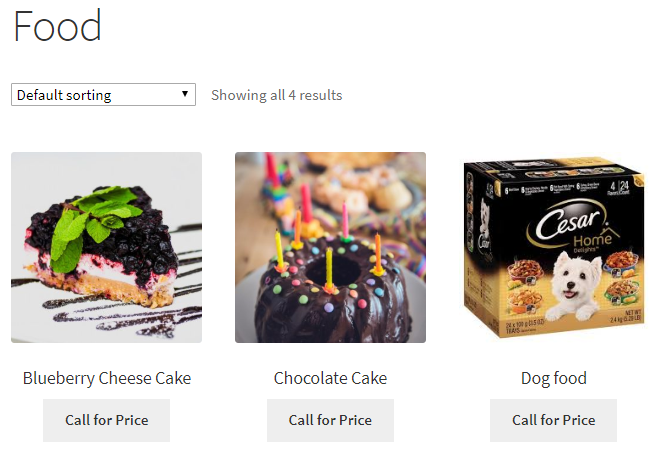 So when you add category as Food and tag as Cakes, the front end will show Call for Price for products that meet the criteria of Per product taxanomy setting. 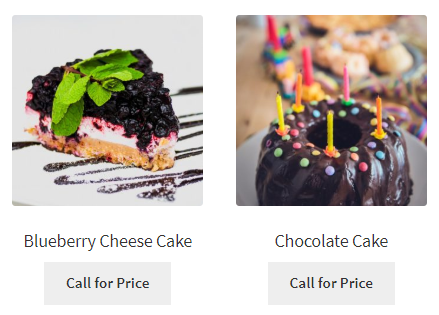 These 2 products show a Call for Price buttons on the Shop page and when you click on Blueberry Cheese Cake product, it will show no price on single product page even when its price is already set in the backend. By default the Per product taxonomy option is disabled. When you enable By product price option, it will allow you to display Call for Price label for products between the specified price range. You can set a minimum and maximum price in the Min price and Max price text fields respectively. The products that fit in the price range of $10 to $500, will have Call for Price button on the Shop page. When you click on the Call for Price button of Canon Camera and go to its Single product page, the price set in the backend for it will not appear. Similarly, prices set for all the products that fall in the price range of $10 – $500 will not appear on their respective Single product pages because of the By product price setting. By default, By product price option is disabled and Min & Max price are set to 0. When these prices are set to 0 means the price range is not be considered. It will display the sale price on the front end of the products but products with empty prices will display a Call for Price label instead. The hide sale tag option allows you to hide the sale tag for the products whose prices are empty. 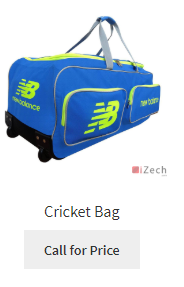 For instance, the product Cricket Bag has a sale tag which appears on the Shop page. 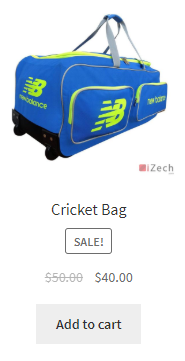 Now when you set the price of this product to empty and tick the Hide checkbox for Sale tag option, then this sale tag will not appear on the Shop page. Instead you will notice a Call for Price button if Call for Price button text is added in the back end. 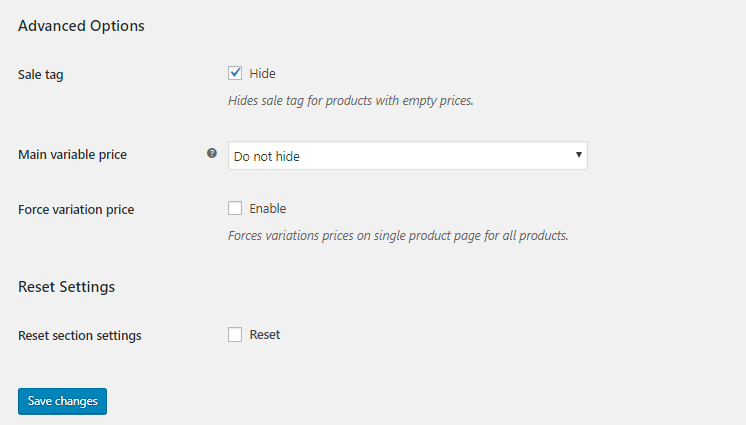 This way you can hide a sale tag of WooCommerce products using this setting. By default, the Hide checkbox is ticked which means by default the Sale tag for products with Call for Price will not appear on the Shop page. The main variable price refers to the price range of a variable product that appears on Shop page and Single products page. There are 3 options for Main variable price setting to hide the price of the variable product on the Single product page for all products. By default the Do not hide option is selected. In this option, the price range of the variable products will not be hidden and the price range will appear on the Single product page for all products. 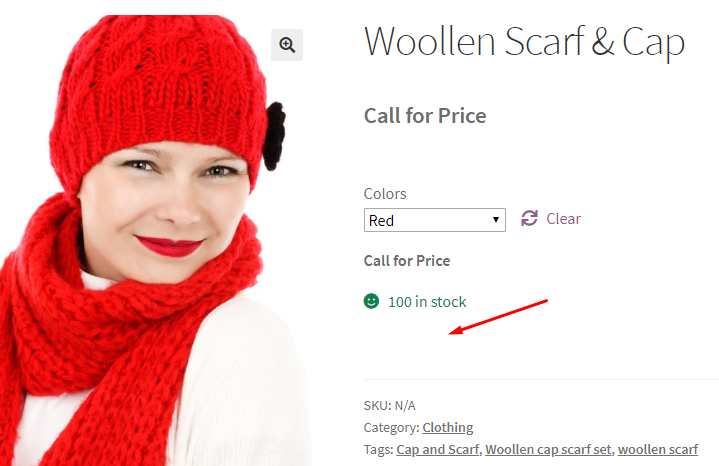 Considering an instance of variable product Woollen Scarf & Cap where its Single product page will display the price range because Do not hide option is selected. When you select option Hide, the price range that appears for variable products on the Single product page will be hidden for all WooCommerce variable products on your store. 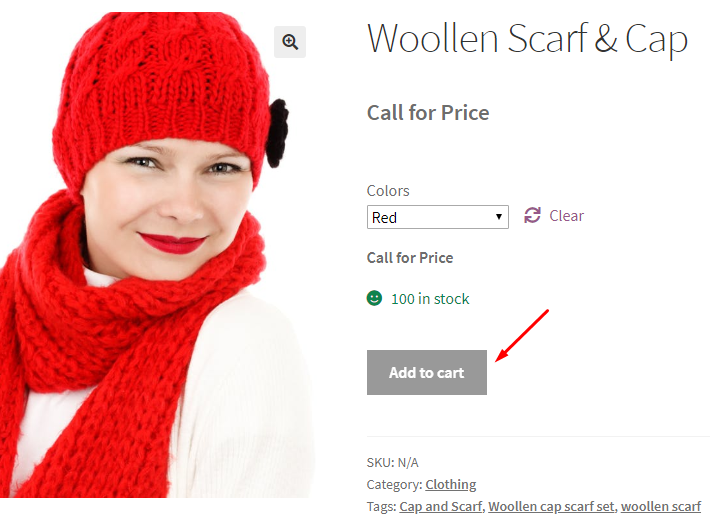 Considering the same instance of a variable product Woollen Scarf & Cap where its Single product page will not display the price range because Hide option is selected. When you select option Hide with CSS, you can hide the price range of the variable products along with CSS. This option is mainly used by the developers. When you enable the Force variation price setting, you can forcefully display the price of the variation that you select on the Single product page. This setting is mainly useful when the variation price is hidden say by adding a custom code “add_filter( ‘woocommerce_show_variation_price’, ‘__return_false’ );” to the functions.php file of theme’s folder or through a plugin and you still wish to display it. Here the setting will forcefully display the price after you select a particular variation. For instance, consider a variable product Woollen Scarf & Cap and variant yellow color whose price you want to forcefully display. Hence when you enable the Force variation price option, the price will appear on the Single product page after selecting Yellow. This will happen even when the custom code still exists in the file. If you disable the Force variation price option and the custom code exists, then the price for variation Yellow will not appear. As the name suggests, this option will allow you to reset all the settings to its default values. When you use combination of general settings, you require to go back to the default values at some point. That time Reset section setting is useful. This can also be used when you want to use the Simple, Variable, Grouped and External product settings instead of general settings.